Below is a listing of America's MAJOR wars and conflicts and the known casualty figures for each. 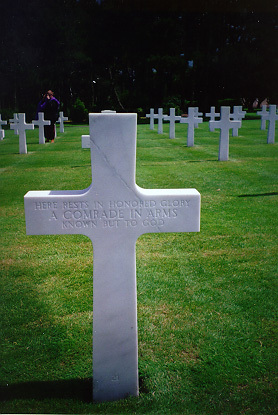 Casualties are for United States and Confederate military dead and wounded only. Note: Operation Enduring Freedom ended on Dec. 31, 2014. Since the war itself did not end, it gained a new name, Operation Freedom’s Sentinel. OFS runs from Jan. 1, 2015 to present. OEF and OFS casualties are included in this listing. NOTE: The lone U.S. Serviceman held by the Taliban, Sgt. Bowe Bergdahl, was released by his captors on May 31, 2014. Third Persian Gulf War "Operation Iraqi Freedom/Operation New Dawn"
Note: Operation Iraqi Freedom ended on August 31, 2010. Since the war itself did not end, it gained a new name, Operation New Dawn (OND). OND lasted from September 1, 2010 to the official end of this Operation on December 15, 2011. The last U.S. forces left Iraq on December 18, 2011 (they would return in 2014 to fight ISIS in Iraq) OND casualties are included in this listing. Sources for updated 2003-2011 Iraq War casualties: Iraq Coalition Casualty Count--The best website I have found thus far to monitor and track Coalition casualties in this war. * Non-battle deaths not known for these wars. **In-Theater means the deaths occurred in or near the area of combat operations. Example: If a helicopter carrying 45 soldiers in Vietnam crashes into a mountain due to bad weather, they are non-combat, in-theater deaths. If a helicopter crashes in Vietnam due to enemy action, they are combat deaths. If a helicopter in the United States crashes into a mountain during the Vietnam War, they are non-combat, non-theater deaths. ***Some controversy exists over the total number of deaths from the Korean War. For many years after the war, the official death toll stood around 54,000. Recently, the U.S. government changed the totals to the numbers above. Apparently, the non-theater deaths had been incorrectly added to the total, thereby inflating the number of "combat" deaths. Nearly 8,000 American military personnel are listed as "Missing in Action" (MIA) in Korea. They are not included in the death totals, though by now, they should all be considered dead. ****The numbers of Vietnam dead changes periodically as more remains are found in Southeast Asia and are identified. Approximately 2,500 service personnel were listed as "Missing in Action" (MIA) after the war. *****Operation Enduring Freedom involves combat operations in Afghanistan and Pakistan (as of May 25, 2004) as well as anti-terrorist "training" missions in the Philippines, Yemen, and the former Soviet Republic of Georgia. The figures above reflect information supplied by the Department of Defense. The non-combat deaths include fatalities in airplane and helicopter crashes, industrial accidents, accidental shootings and at least three fatalities caused by friendly fire. Ten of the casualties in the Philippines were from a helicopter crash, while one soldier was killed in action when a bomb exploded near a Filipino military base in Zamboanga, Philippines. OIR Footnote: OPERATION INHERENT RESOLVE includes casualties that occurred in Bahrain, Cyprus, Egypt, Iraq, Israel, Jordan, Kuwait, Lebanon, Qatar, Saudi Arabia, Syria, Turkey, United Arab Emirates, the Mediterranean Sea east of 25° Longitude, the Persian Gulf, and the Red Sea. Statistical Summary of America's Major Wars--From the U.S. Civil War Center. America's Wars and Casualties --Includes information on when the last veterans from each war died. Coalition Casualties--Website tracking Coalition casualties in the 2003 Iraq War. SFC Mark Wayne Jackson--Memorial web page for U.S. Special Forces soldier killed in the Philippines in 2002. The Final Roll Call: Afghanistan War Casualyt Database--Database of American casualties from the Afghanistan War. The Final Roll Call: Iraq War Casualty Database--Database of American casualties from the Iraq War. Lee, R. "The History Guy: Casualties From America's Wars"